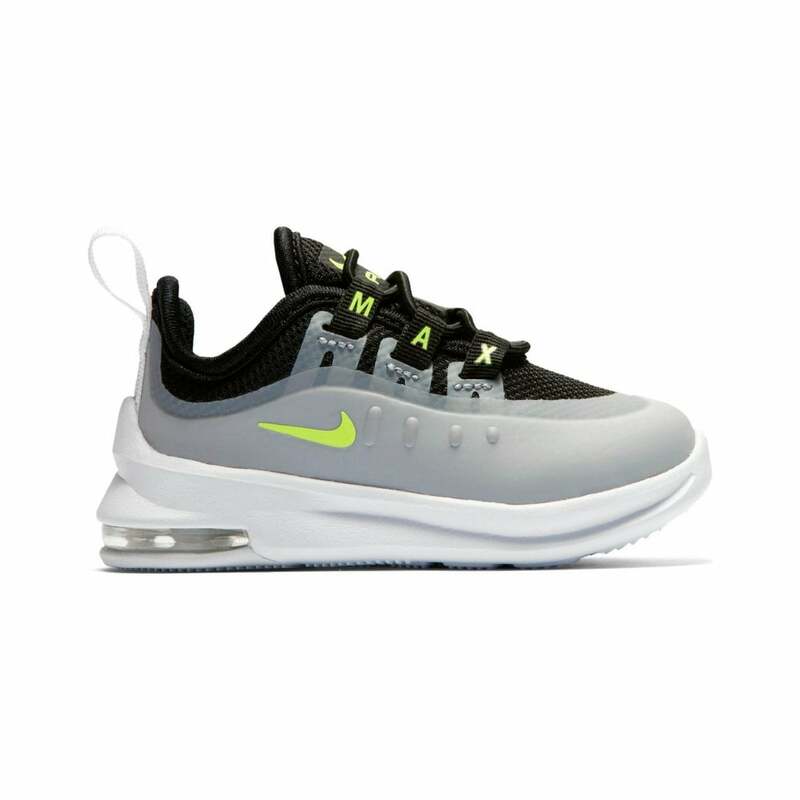 These lace-up Nike Air Max Axis Trainers have a synthetic & textile upper and are black and grey in colour. They have a black padded textile lining and a white pull loop at the heel. Nike branding appears on the toe, sides, tongue and heel as well as on the textile eyelets in vivid yellow. The soles are white with Visible Shock Absorbers and a deep tread for excellent grip.